On January 20, 2002, Richard McCaslin, thirty-seven, of Carson City, Nevada, was arrested sneaking into the Bohemian Grove in northern California. The Grove is the site of an exclusive annual men's retreat attended by powerful business and political leaders. When McCaslin was discovered, he was carrying a combination shotgun-assault rifle, a .45-caliber pistol, a crossbow, a knife, a sword, and a bomb-launching device. He said he was acting alone. McCaslin told police he had entered the Bohemian Grove in order to expose the satanic human sacrifices he believed occurred there. He fully expected to meet resistance and to kill people in the process. He had developed his belief in the Grove's human sacrifices based on the claims of a radio personality, Alex Jones, whose broadcasts and Web site present alleged evidence of ritual killings there. Similar charges against the Bohemian Grove-along with allegations of blood drinking and sexual perversions-have been spread for several years on the Web and in fringe publications, some of which also suggest that the Grove's guests include nonhuman species masquerading as human beings. These and similar tales would be cause for little more than amusement were it not for individuals like McCaslin, who take them seriously enough to risk killing and being killed. They also form part of a conspiracist subculture that has become more visible since September 11, 2001. Immediately after the terrorist attacks, strange reports burgeoned on the Internet, many of which never migrated to mainstream news outlets. Among them were that Nostradamus had foretold the attacks; that a UFO had appeared near one of the World Trade Center towers just as a plane crashed into it; that the attacks had been planned by a secret society called the Illuminati; that U.S. President George W. Bush and British Prime Minister Tony Blair had advance knowledge of the attacks; and that the attacks signaled the coming of the millennial end-times prophesied in the Bible. On one level, such ideas might be attributed simply to the anxieties of a deeply shaken people, desperate to make sense of the shocking events. On another level, however, these and similar beliefs alert us to the existence of significant subcultures far outside the mainstream. Surfacing in times of crisis and bound up with heterodox religion, occult and esoteric beliefs, radical politics, and fringe science, they have had a long-standing and sometimes potent influence in American life. It is with these beliefs-which in chapter 2 I refer to as stigmatized knowledge-that I am concerned. Binding these disparate subjects together is the common thread of conspiracism-the belief that powerful, hidden, evil forces control human destinies. "Trust no one" was one of the mantras repeated on The X-Files, and it neatly encapsulates the conspiracist's limitless suspicions. Its association with a popular end-of-the-millennium television program is a measure of how prevalent conspiracy thinking has become. Indeed, the period since the assassination of President John F. Kennedy in 1963 has seen the rise of a veritable cottage industry of conspiracism, with ever more complex plots and devious forces behind it. Although much of this mushrooming can be traced to the traumatic effect of specific events, that seems an insufficient explanation on its own. Conspiracist preoccupations have grown too luxuriantly to be fully explained even by events as shocking as the Kennedy assassination or the rapid spread of AIDS. Rather, they suggest an obsessive concern with the magnitude of hidden evil powers, and it is perhaps no surprise that such a concern should manifest as a millennium was coming to a close and the culture was rife with apocalyptic anxiety. Belief in conspiracies is central to millennialism in the late twentieth and early twenty-first centuries. That is scarcely unexpected-millennialist worldviews have always predisposed their adherents to conspiracy beliefs. Such worldviews may be characterized as Manichaean, in the sense that they cast the world in terms of a struggle between light and darkness, good and evil, and hold that this polarization will persist until the end of history, when evil is finally, definitively defeated. To be sure, one can believe in a struggle between good and evil without believing in conspiracies. In such a scenario, evil would operate openly-a picture often drawn by millenarian preachers when they point to widespread manifestations of greed, unbridled sexuality, or hostility to religion. But millennialists tend to gravitate toward conspiracism for two specific reasons. First, a millenarian movement without a mass following finds hidden evil an attractive way to explain its lack of popularity. Surely the masses would believe if only they knew what the concealed malefactors were up to. Second, the more elusive the end-times are, the more tempting it is to blame their delay on secret evil powers, whether in the form of a capitalist conspiracy or of the minions of Satan. Conspiracism explains failure, both for organizations and for the larger world. Yet significant though conspiracy is for millenarians, it is a slippery concept. Despite the frequency with which conspiracy beliefs have been discussed at the end of the second millennium, the term conspiracy itself has often been left undefined, as though its meaning were self-evident. Courts and legislatures have devoted considerable attention to defining a crime of conspiracy, but the meaning of the broader concept has rarely been addressed. The essence of conspiracy beliefs lies in attempts to delineate and explain evil. At their broadest, conspiracy theories "view history as controlled by massive, demonic forces." The locus of this evil lies outside the true community, in some "Other, defined as foreign or barbarian, though often ... disguised as innocent and upright." The result is a worldview characterized by a sharp division between the realms of good and evil. For our purposes, a conspiracy belief is the belief that an organization made up of individuals or groups was or is acting covertly to achieve some malevolent end. As I indicate later in this chapter, such a definition has implications both for the role of secrecy and for the activities a conspiracy is believed to undertake. Nothing happens by accident. Conspiracy implies a world based on intentionality, from which accident and coincidence have been removed. Anything that happens occurs because it has been willed. At its most extreme, the result is a "fantasy [world] ... far more coherent than the real world." ·Everything is connected. Because the conspiracists' world has no room for accident, pattern is believed to be everywhere, albeit hidden from plain view. Hence the conspiracy theorist must engage in a constant process of linkage and correlation in order to map the hidden connections. In an odd way, the conspiracy theorist's view is both frightening and reassuring. It is frightening because it magnifies the power of evil, leading in some cases to an outright dualism in which light and darkness struggle for cosmic supremacy. At the same time, however, it is reassuring, for it promises a world that is meaningful rather than arbitrary. Not only are events nonrandom, but the clear identification of evil gives the conspiracist a definable enemy against which to struggle, endowing life with purpose. Conspiracy and secrecy seem indissolubly linked. Yet conspiracy beliefs involve two distinguishable forms of secrecy. One concerns the group itself; the second concerns the group's activities. A group may be secret or known, and its activities may be open or hidden. Table 1 identifies four types of groups based on combinations of secrecy and openness. Type I, a secret group acting secretly, is a staple of conspiracy theories. Indeed, such groups are often believed to hold virtually unlimited power, even though people who claim to expose them assert that these groups are entirely invisible to the unenlightened observer. For example, the famous anti-Semitic forgery The Protocols of the Elders of Zion (discussed in chapter 3) purports to reveal the existence of a Jewish conspiracy to rule the world. Concocted by Czar Nicholas II's secret police at the end of the nineteenth century, it was published in Russian in 1905 and in English in 1920. Despite its early unmasking as a forgery, it has continued to be disseminated. In 2002, despite international protests, television stations throughout the Arab world broadcast a forty-one-part Egyptian series in which The Protocols were prominently featured. A comparably tenacious mythology revolves around the Bavarian Illuminati, a Masonic organization founded in 1776 that was supposedly the catalyst for the French Revolution and subsequent upheavals worldwide. The Illuminati was quickly dissolved by suspicious governments, but it lives on in countless conspiracist tracts, discussed in chapter 3. By contrast, Type II lies outside conspiracy theory, for it concerns a group that, while concealing its existence from the public, nonetheless acts openly. An example might be a group of philanthropists who desire to keep their benefactions anonymous. Thus they conceal their identities, though the beneficiaries are free to reveal the nature of the gifts as long as they do not expose the identities of the givers. Type III returns us to the conspiracist world, for it combines known groups with secret activities. A stock feature of conspiracy theories is the known group or institution that engages in some activities so sinister it must conceal them from public view. The implication is that such an organization exists on two levels, one at least relatively open and benign, but serving to mask the true, hidden function. Among the groups that have been described in this fashion are the Masons (discussed in chapter 8), the Trilateral Commission (see chapter 4), and the CIA. Finally, the residual Type IV includes all those known and open associations that proliferate in democracies, including political parties and interest groups, whose identities and activities are reported and made parts of the public record. Event conspiracies. Here the conspiracy is held to be responsible for a limited, discrete event or set of events. The best-known example in the recent past is the Kennedy-assassination conspiracy literature, though similar material exists concerning the crash of TWA flight 800, the spread of AIDS in the black community, and the burning of black churches in the 1990s. In all of these cases, the conspiratorial forces are alleged to have focused their energies on a limited, well-defined objective. Systemic conspiracies. At this level, the conspiracy is believed to have broad goals, usually conceived as securing control over a country, a region, or even the entire world. While the goals are sweeping, the conspiratorial machinery is generally simple: a single, evil organization implements a plan to infiltrate and subvert existing institutions. This is a common scenario in conspiracy theories that focus on the alleged machinations of Jews, Masons, and the Catholic Church, as well as theories centered on communism or international capitalists. Superconspiracies. This term refers to conspiratorial constructs in which multiple conspiracies are believed to be linked together hierarchically. Event and systemic conspiracies are joined in complex ways, so that conspiracies come to be nested within one another. At the summit of the conspiratorial hierarchy is a distant but all-powerful evil force manipulating lesser conspiratorial actors. These master conspirators are almost always of the Type I variety-groups both invisible and operating in secrecy. 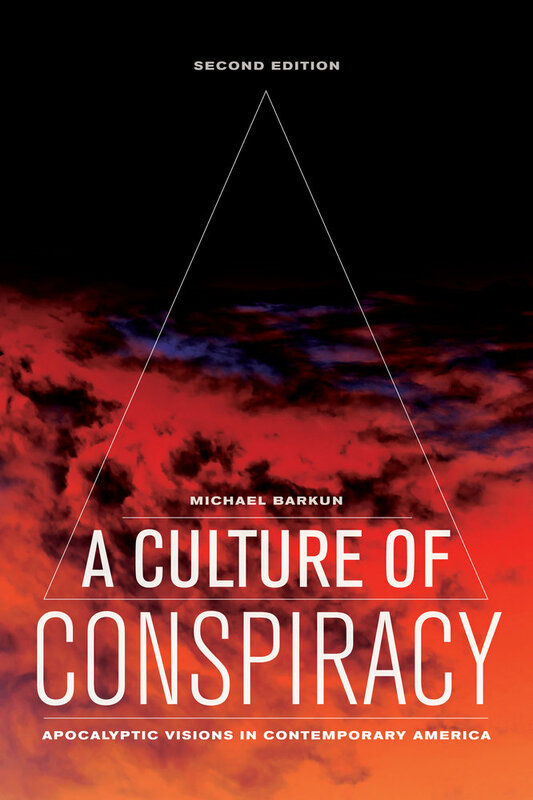 Superconspiracies have enjoyed particular growth since the 1980s, in the work of authors such as David Icke, Valdamar Valerian, and Milton William Cooper (discussed in chapters 5 and 6). Conspiracy theories purport to be empirically relevant; that is, they claim to be testable by the accumulation of evidence about the observable world. Those who subscribe to such constructs do not ask that the constructs be taken on faith. Instead, they often engage in elaborate presentations of evidence in order to substantiate their claims. Indeed, as Richard Hofstadter has pointed out, conspiracist literature often mimics the apparatus of source citation and evidence presentation found in conventional scholarship: "The very fantastic character of [conspiracy theories'] conclusions leads to heroic strivings for 'evidence' to prove that the unbelievable is the only thing that can be believed." But the obsessive quest for proof masks a deeper problem: the more sweeping a conspiracy theory's claims, the less relevant evidence becomes, notwithstanding the insistence that the theory is empirically sound. This paradox occurs because conspiracy theories are at their heart nonfalsifiable. No matter how much evidence their adherents accumulate, belief in a conspiracy theory ultimately becomes a matter of faith rather than proof. Conspiracy theories resist traditional canons of proof because they reduce highly complex phenomena to simple causes. This is ordinarily a characteristic much admired in scientific theories, where it is referred to as "parsimony." Conspiracy theories-particularly the systemic theories and the superconspiracy theories discussed above-are nothing if not parsimonious, for they attribute all of the world's evil to the activities of a single plot, or set of plots. Precisely because the claims are so sweeping, however, they ultimately defeat any attempt at testing. Conspiracists' reasoning runs in the following way. Because the conspiracy is so powerful, it controls virtually all of the channels through which information is disseminated-universities, media, and so forth. Further, the conspiracy desires at all costs to conceal its activities, so it will use its control over knowledge production and dissemination to mislead those who seek to expose it. Hence information that appears to put a conspiracy theory in doubt must have been planted by the conspirators themselves in order to mislead. The result is a closed system of ideas about a plot that is believed not only to be responsible for creating a wide range of evils but also to be so clever at covering its tracks that it can manufacture the evidence adduced by skeptics. In the end, the theory becomes nonfalsifiable, because every attempt at falsification is dismissed as a ruse. The problem that remains for believers is to explain why they themselves have not succumbed to the deceptions, why they have detected a truth invisible to others. This they do through several stratagems. They may claim to have access to authentic pieces of evidence that have somehow slipped from the conspirators' control and thus provide an inside view. Such documents have ranged from The Protocols to UFO documents that purport to be drawn from highly classified government files. Another stratagem is to distance themselves ostentatiously from mainstream institutions. By claiming to disbelieve mass media and other sources, believers can argue that they have avoided the mind control and brainwashing used to deceive the majority. This also accounts in part for their fondness for what in the following chapter I call stigmatized knowledge-that is, knowledge claims that run counter to generally accepted beliefs. The connection made between conspiracy and paranoia has two interrelated origins. The first, and more general, source is the similarity between the delusional systems of paranoids and the plots imagined by conspiracy theorists. The second source is Richard Hofstadter's widely cited essay "The Paranoid Style in American Politics," first printed in the month of John F. Kennedy's assassination and published in its final form in 1965. Hofstadter sought to make clear that his use of paranoid was metaphorical rather than literal and clinical. Indeed, he argued that, unlike the clinical paranoid, the political paranoid believes that the plot is directed not against himself or herself personally, but "against a nation, a culture, a way of life whose fate affects not himself alone but millions of others." Despite this caveat, Hofstadter, partly by the force of his writing and argument, introduced clinical terminology into the stream of discourse, where it could be employed more broadly by others. Unlike Hofstadter, some have argued that the clinical and the political may overlap. Robert Robins and Jerrold Post assert that the domain of political paranoia encompasses a range of exemplars, including such clinical paranoids as James Forrestal and Joseph Stalin; borderline paranoids whose "delusion is likely to involve exaggeration and distortion of genuine events and rational beliefs rather than pure psychotic invention"; and cultures in which, at least temporarily, conspiracy beliefs become a culturally defined norm. In this view, conspiracy beliefs become neither determinative of paranoia nor divorced from it. Instead, conspiracism straddles a blurred and shifting boundary between pathology and normalcy. The precise nature of the relation between conspiracism and paranoia is unlikely to be definitively determined, if only because the two concepts are subject to varying definitions, depending on theoretical orientation. The effect of introducing such terms as paranoid into the discussion of conspiracism is double-edged. On the one hand, the connection-whether metaphorical or literal-captures the belief that devotees of conspiracy theory have severed important ties with a realistic and accurate view of the world. They inhabit a world of the mind more orderly than the world that "is." On the other, paranoid has an unmistakably pejorative connotation. Indeed, it seems clear that Hofstadter utilized it precisely because of its judgmental quality. Its overtones are such that its use, even in careful hands, runs the risk of merely labeling people whose ideas we disapprove of. In addition to his ruminations about the suspicious tendency of political paranoids, Hofstadter also linked the paranoid style to millennialism. He noted that the millenarian figures described in such works as Norman Cohn's The Pursuit of the Millennium manifested precisely the complex of plots and fears that Hofstadter called the "paranoid style." Yet it turns out that while a relation exists between conspiracism and millennialism, it is not a simple one. Conspiracism is neither a necessary nor a sufficient condition for millennialism. It is not a necessary condition, because some millenarian movements lack significant conspiracist components. For instance, Millerite Second Adventism in the 1840s, perhaps the most significant American millenarian movement of the nineteenth century, never constructed a major conspiracist structure. Millerism-named after its founder, Baptist preacher William Miller-coalesced around Miller's interpretation of biblical prophecy. According to him, Christ would return to earth sometime between March 21, 1843, and March 21, 1844. When the latter date passed without an end-time event, his followers persuaded Miller to accept a revised deadline of October 22, 1844. On that date, the "Great Disappointment" destroyed the movement, but not before it had attracted tens of thousands of supporters throughout the Northeast, including prominent abolitionists and evangelicals. The movement attempted to maintain a harmonious relationship with existing Protestant churches, and only in a late phase did adherents heed the call to "come out of Babylon" by withdrawing from their congregations. Likewise, conspiracism is not a sufficient condition for millennialism, for all conspiracism does is to impose a strongly dualistic vision on the world. It does not necessarily guarantee that good will triumph or predict that such a triumph will mean the perfection of the world. Indeed, conspiracism can sometimes lead to an antimillenarian conclusion, in which the evil cabal is depicted as virtually invincible. Fixation on a conspiracy the indestructible tentacles of which are alleged to extend everywhere can give rise to the belief that the forces of good are perilously close to defeat. Some conspiracy-minded survivalists have retreated into the wilderness, at least in part because they fear that if they do not, they risk being destroyed. Despite the absence of a systematic connection between conspiracy and millennialism, the two are in fact often linked. Many millenarian movements are strongly dualistic, and often ascribe to evil a power believed to operate conspiratorially. As Stephen O'Leary notes, "The discourses of conspiracy and apocalypse ... are linked by a common function: each develops symbolic resources that enable societies to address and define the problem of evil." Conspiracy theories locate and describe evil, while millennialism explains the mechanism for its ultimate defeat. Hence the two can exist in a symbiotic relationship, in which conspiracism predisposes believers to be millennialists and vice versa, though each can exist independently. They are thus best viewed as mutually reinforcing. There is reason to believe that conspiracy theories are now more common elements of millennialism than they were in the past. In chapter 2, I describe a shift in millenarian "style" that I believe accounts for their increasing prominence. The traditional religious and secular-ideological styles have now been joined by a third variety, which I call the improvisational style. Religious and secular millennialism, however different they are from each other, have two common characteristics: each one's adherents consciously place it within a well-defined tradition, often positioning it as an alternative to some reigning orthodoxy; and each is centered on a body of canonical literature or teaching (e.g., the Bible or Marx's writings), whose exegesis is believed to illuminate the essence of history. Religious and secular millennialism have certainly not been immune to conspiratorial ideas, but they have normally adopted only those grounded in the particular vocabulary of a specific tradition. Thus, Christian millennialists could develop conspiracy ideas by elaborating the scriptural Antichrist, while Marxists could develop notions of a capitalist plot. Neither religionists nor secularists, however, could easily construct conspiracy theories not already rooted in their own texts and traditions. Improvisational millennialism, by contrast, has a much freer hand. It is by definition an act of bricolage, wherein disparate elements are drawn together in new combinations. An improvisational millenarian belief system might therefore draw simultaneously on Eastern and Western religions, New Age ideas and esotericism, and radical politics, without any sense that the resulting mélange contains incompatible elements. Such belief systems have become increasingly common since the 1960s, and freed as they are from the constraints of any single tradition, they may incorporate conspiracist motifs whatever their origin. As we shall see, this has given conspiracy theories an unprecedented mobility among a wide range of millenarian systems. Because improvisational millennialisms are bricolages, they can be treated both holistically and in terms of their constituent elements. The latter become particularly important, as they can appear simultaneously in a broad range of belief systems, having a slightly different significance in each, depending on the other elements with which they are combined. The chapters that follow examine a series of conspiratorial ideas both individually and in combination, among them concentration camps run by the Federal Emergency Management Agency (FEMA), implanted mind-control devices, and the Illuminati. Each can be separately traced, as well as related to other ideas with which it may appear, and each moves among different audiences. Because the dualism inherent in conspiracy ideas makes them ideal vehicles for apocalyptic anxieties, their prevalence in the years leading up to 2000 was scarcely surprising. "Ideas and images about the end of the world," Daniel Wojcik writes, "permeate American popular culture and folklore, as well as popular religion." The nature of conspiracy ideas can best be illuminated through the category of folklore known as the urban legend. According to one of its most prominent students, Jan Harold Brunvand, "Urban legends belong to the subclass of folk narratives, legends, that-unlike fairy tales-are believed, or at least believable, and that-unlike myths-are set in the recent past and involve normal human beings rather than ancient gods or demigods." These stories are almost always false, "but are always told as true." As Patricia A. Turner points out, urban legends-those that deal with distinctively modern themes-are closely related to rumors. Both purport to be true, or at least to be believable, and both circulate rapidly, though legends are likely to be more long-lived and complex. Beliefs that originally circulate as rumors may subsequently appear as elements of legends. There is, however, one complication in dealing with conspiracy beliefs as urban legends: the modes of transmission. The bias of folklorists is toward oral transmission as the primary medium. Legend texts are often secured in tape-recorded examples with accompanying data about the teller and how he or she learned the story. Conspiracy ideas clearly circulate widely in oral form, as evidenced by Turner's important study of conspiracy legends in the African-American community; but the media-rich, technologically sophisticated society that exists in both the United States and other developed countries opens up new avenues for transmission. Brunvand, writing in 1981, conceded that "today's legends are also disseminated by the mass media." During the succeeding two decades, the Internet emerged as a major new medium. Wojcik notes: "Folklore is not only transmitted through printed sources and electronic media but now through the Internet and e-mail, as members of global subcultures who never interact face-to-face exchange and create folklore in cyberspace. Despite predictions to the contrary, technology and industrialization have not necessarily destroyed traditions but have altered the ways that traditions are expressed and communicated, and have helped to generate and perpetuate new types of folklore." Such technological innovations are particularly important for the subcultures in which conspiracy theories have taken root. Conspiracy ideas are particularly prevalent in what I call the realm of stigmatized knowledge-knowledge claims that have not been validated by mainstream institutions. Subcultures dominated by belief in some form of stigmatized knowledge-such as those defined by commitments to political radicalism, occult and esoteric teaching, or UFOs and alien beings-are therefore most likely to nurture conspiracy ideas. These are also precisely the kinds of subcultures most attracted to the Internet. The Internet is attractive because of its large potential audience, the low investment required for its use, and-most important-the absence of gatekeepers who might censor the content of messages. To some extent, of course, the subcultures referred to above have access to conventional mass media. They publish books and periodicals, though these are often restricted to distribution by mail or only the largest book stores, which may also screen out overtly anti-Semitic or racist material. Access to radio and television appears limited to shortwave stations and community-access cable channels. There have been, to be sure, exceptions, such as the newspaper The Spotlight, once the right-wing publication with the largest circulation in the United States, and which ceased publication in 2001; and the Australian New Age-conspiracy magazine Nexus. For the most part, however, stigmatized knowledge subcultures are at a distinct disadvantage as far as mass media are concerned, for the latter are precisely the mainstream institutions best positioned to confer stigma on certain knowledge claims, including those that are overtly conspiracist. This contempt is reciprocated by conspiracists themselves. Not only do conspiracists distrust the mass media as distorters and concealers of the truth; they also regard them as part of the conspiracy, a tool controlled by the plotters in order to mislead the public. Consequently, those whose worldview is built around conspiracy ideas find in the Internet virtual communities of the like-minded. Copyright and other issues of intellectual property appear to count for little among many who engage in Internet posting. Multiple versions of the same document are likely to appear in various places, some identical, some slightly different, some with annotations by the poster. The result is not unlike the variant accounts of urban legends that circulate by word of mouth. Unlike oral versions, however, all of the variants may in principle be simultaneously accessible to the Web surfer, who may then be tempted to judge the credibility of a story by the number of times it is told. Here repetition substitutes for direct evidence as a way of determining veracity. The dynamics of rumor provides a helpful analogy, for it is in the nature of rumors to appear precisely in those situations in which normal means of determining reliability are not available, so the potential consumer of rumors may end up determining truth on the basis of how widely a particular one circulates. This gives to rumors-and, by extension, to Internet conspiracy accounts-a self-validating quality. The more a story is told, and the more often people hear it, the more likely they are to believe it. In a somewhat different way, search engines' placement of a page in a list of responses can reflect searchers' preferences. Google, for example, ranks pages produced in response to a search on the basis of both the page's content and the frequency with which it is linked to other pages. The more frequently other pages include it as a link, and the more prominent the pages that include the link, the higher the placement. This communications milieu, in which self-validating rumors and urban legends can spread with unrivaled rapidity, has had particularly important implications for the spread of millenarian and apocalyptic beliefs. The result has been millennialism that is not only pervasive but increasingly varied in form. While many of the older religious and ideological forms remain-as, for example, among fundamentalist Protestants-these have been joined by many other varieties that resist easy classification. These are the examples I call improvisational millennialism, and it is to improvisational millennialism that conspiracists have most often been drawn. American society has changed dramatically since A Culture of Conspiracy was first published in 2001. 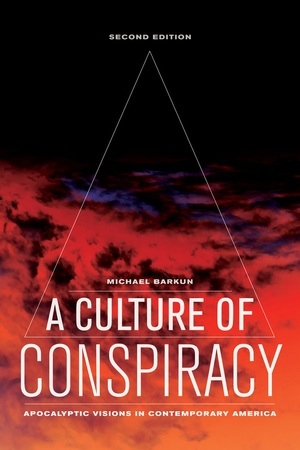 In this revised and expanded edition, Michael Barkun delves deeper into America's conspiracy sub-culture, exploring the rise of 9/11 conspiracy theories, the "birther" controversy surrounding Barack Obama's American citizenship, and how the conspiracy landscape has changed with the rise of the Internet and other new media. Michael Barkun, Professor Emeritus of Political Science at the Maxwell School, Syracuse University, is author of Religion and the Racist Right: The Origins of the Christian Identity Movement (revised edition 1997) and Disaster and the Millennium (1986), among other books.